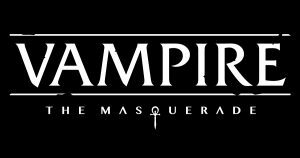 Today, 6/28/2018, White Wolf Released their first preview of actual pages from Vampire: The Masquerade 5th Edition. Which you can find on www.worldofdarkness.com This release is exciting, both for the content and what it means for the final product being close to completion. You’ll notice this is the first post from this blog in a considerable amount of time. I’ve been quite busy with freelance writing work, and planning for www.hlgcon.com which you should check out. We’ve discussed the Humanity system before on Keep on the Heathlands, but it has never been a system that I thought actually helped sell the genre. 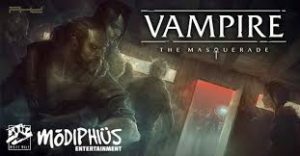 Vampire is known as a game that helps you focus on your struggle between humanity and the hunger(Beast) of being a bloodsucking leech, but it’s fallen short in previous editions for various reasons. We were excited for the introduction of Touchstones (a concept pulled from Vampire: The Requiem) and the other layers from the preview are also interesting and engaging. 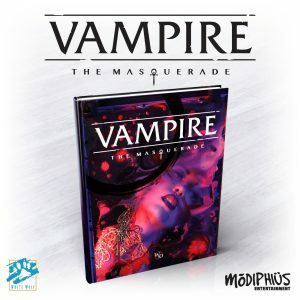 Vampire: The Masquerade has always had a relatively strict expectation of how it could be played, but not every troupe chooses to play the game in the same manner. There are various themes, moods, and concepts that players might find uncomfortable of disinteresting. In earlier editions, altering this had no real impact on the mechanics of the game, which sometimes dropped their importance session to session. V5 gives us a new concept that helps to adjust the game to meet the needs of the troupe. This is the Chronicle Tenets system that creates a set of Morality elements for the game you’re running. These can be adjusted every chronicle, or they can be set as a house standard. This allows for customization and focus on story elements that allows you to run the game you want to run at your table. Convictions are human values that you choose prior to game start. They are the rules you play by to retain your sense of morality. These can change if you want to portray an inhuman monster, they play by their own rules. The Tzimisce following the Path of Metamorphosis has rules they follow, and that system is no longer complicated by the sense that Judeo-Christian thought is the default human morality. Creating a Buddhist, Humanist, or atheist is easier to do with the new system of Convictions than previous editions. Humans are important to the Kindred, both as a source of blood and a reminder of who they were when mortal. By focusing on building and keeping bonds with particular humans, Kindred retain a sense of connection to the world around them. This is probably the only area where I’m not thrilled that each Touchstone MUST be a living person, but I think there are ways to adjust this at the table that would be easy to facilitate for Elder characters and I think it’s a good starting point for individual table customization. You want things, as a Vampire. Desire is a way to set goals for yourself game to game, things you want, things you want from people, or other Kindred, it’s part of the reason that Vampires steal from one another. They have a sense of ownership of the things they see and want, and they try and take them. Of course, your Desire doesn’t have to be owned by someone else and you can customize this to fit your chronicle design. I like this, because its provides incentive to create and seek goals. There are mechanical benefits referred to as Willpower damage being healed. I’m not sure what these systems will look like in the end, but they are intriguing. Ambition is the macro level things that keep you moving night to night, and these two concepts act as short term and long-term goal creation. The preview only touches on this concept, but it appears as if Stains will be something equivalent to sins against one’s road or path in earlier editions. We’ll have to wait and see what comes of this, but it appears to allow for additional customization that supports a diverse religious and moral compass that previous versions of the game were incompatible with, or required a strange road adherence to mimic. There are two clans presented in the preview. The Toreador and the Brujah. So far, these amazing clans are the same nuanced and interesting concepts they were in previous editions. The Banes, or new weaknesses are a little more nuanced than they once were, and the systems for them sound active and in-tune with the mechanical adjustments we’ve seen from the Alpha and the rest of the preview. They’ll always be pertinent and in most scenes they’ll come into effect or could come into effect easily. Keeping concepts like these central to the story helps cement the clan identity as you’re playing. Every power level of Celerity does something different, and it appears that you have either multiple options or multiple powers in several of the levels. That should allow for interesting customization and personalization. Again, this is a theme I’m seeing in this edition. Playing how you want to play is important to the creators and it shows in the design of the product. Check out the powers for yourself, and see what you like the most. These are deeper history connections to the meta-plot of VtM. The Lore-Sheet appears to be something akin to a Background that you purchase, that provides you benefits that fit your clan or character concept. Theo Bell and Helena are referenced and if you’re a long-time fan you’ll know who they are. Also, the Week of Nightmares makes an appearance, meaning that concerns about the late stage lore from previous editions is basically moot. This seems like a great way to again, customize your character and chronicle, and tie it into the awesome meta-narratives that have existed in VtM for the last 30 years. That, honestly, is fantastic and is something I’m happy to see. This isn’t a reboot of the World of Darkness, it’s a celebration of new ways to engage with the world and build games that are interesting, engaging, and emotionally powerful. You can pre-order Vampire 5th Edition here. So far, I’ve seen nothing that makes me regret my decision to back it on the day it was released for pre-order. Josh is the administrator of the Inclusive Gaming Network, and the owner of this site. *Note, all opinions are the opinions of their respective Authors and may not represent the opinion of the Editor or any other Author of Keep On the Heathlands. Opinions may also turn out to be wrong in the future, and we are more than willing to discuss based on future information. Posted in World of Darkness and tagged 5th Edition, modiphius, paradox, Vampire.